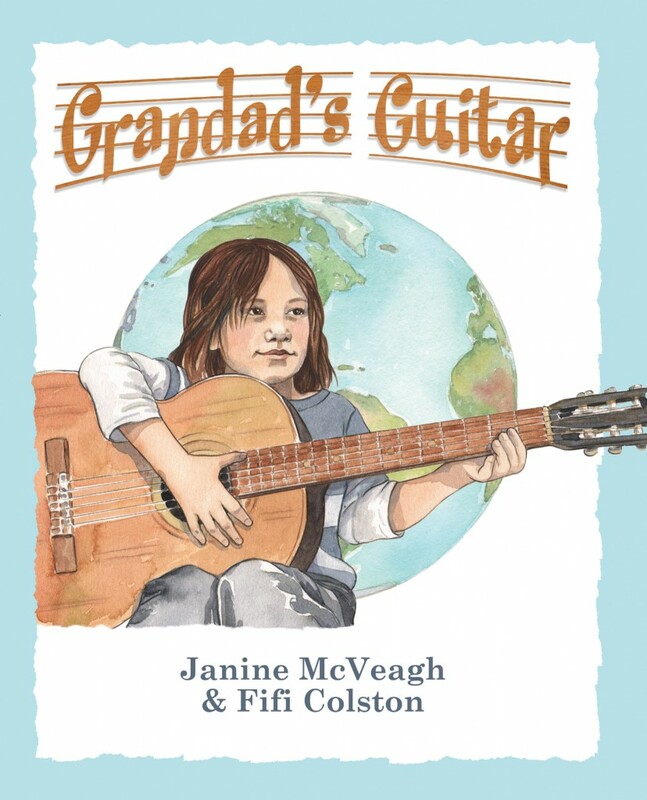 Janine McVeagh (below, left) has written stories for children and adults, but Grandad’s Guitar is her first picture book. It is a story about her mokopuna Kahu and her late husband, Roger, who died not long after travelling the world with his guitar. Janine lives in Hokianga with her family including Kahu and his mum, Jessie, four brown hens and a small brown dog called Nala. 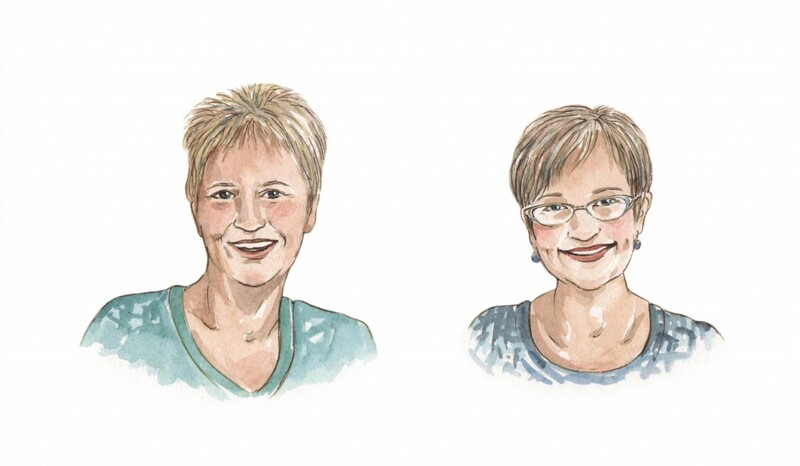 Fifi Colston (below, right) has illustrated over thirty picture books including David Hill’s The Red Poppy, and she has written and illustrated her own books for children – award-winning Wearable Wonders and Glory among them. A World of Wearable Arts veteran, Fifi has also worked in the film and television industry as a craft presenter, puppet maker and costumer.